Hi, I’m Kevin and I established PoolStar™ in 2006 with the goal of providing a first class pool service that goes above and beyond, to achieve higher standards of service compared to the average Las Vegas pool service provider. Basically, a professional, honest, quality service provider with integrity. We created our Standards of Service that we apply to every pool we care for, ensuring a higher standard to our customers. 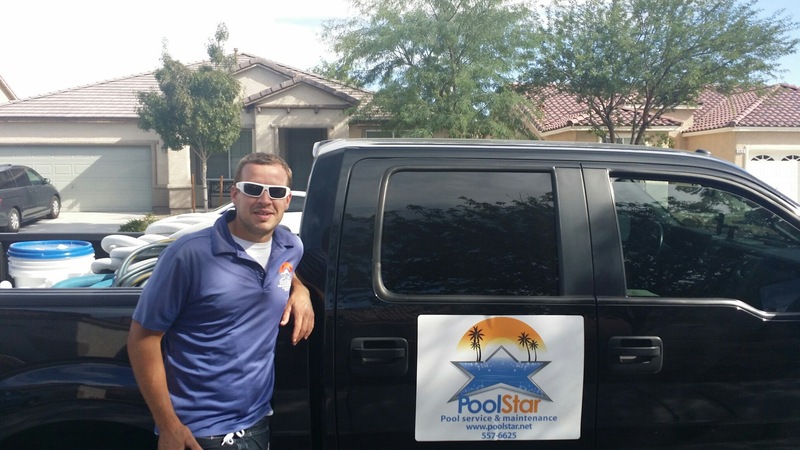 PoolStar is licensed and insured within Clark county and has garnered many positive reviews and testimonials due to our consistency, reliability, and Standards of Service. 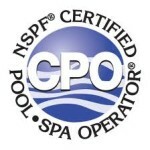 All PoolStar™ technicians are required to pass the “Certified pool and spa operators” certification this gives customers peace of mind knowing that they are dealing with swimming pool professionals. Hi my name is Glen and I’m a Pool Technician at PoolStar™ who takes pride in maintaining and keeping your pool sparkling on a weekly basis. I’m originally from Ireland and when not working, I enjoy spending time with my wife Jai, my son Mason and my 4 dogs. My hobbies include playing soccer, going to the movies and doing outdoor activities such as hiking and camping. Hi, my name is Ron. I relocated to Henderson to be closer to my Daughter and her family, and to escape the rainy weather in Oregon where I was born, raised, and raised my own family. I owned and operated my own business for over 30 years and was happy to transition to PoolStar™, another family-owned business (owned and operated by mySon-in-Law), where service standards are high and relationships with the customer are key. I have an easy-going personality and enjoy meeting people. My personal hobbies include listening to music of all genres, watching the latest science fiction shows, and getting groups together for casual poker nights. My wife Barbara and I have three children and are extremely proud of their accomplishments as a fireman, a dentist, and a PhD. We have seven grandchildren ranging from a newborn to age 16. I serve the Anthem and Silverado ranch areas, Seven Hills, and Green valley. Hi, my name is Kody. I’ve been working for Pool Star as a pool technician for since 2103. Prior to working for Pool Star I worked for multiple pool supply companies, where I learned many traits to help me in the field. 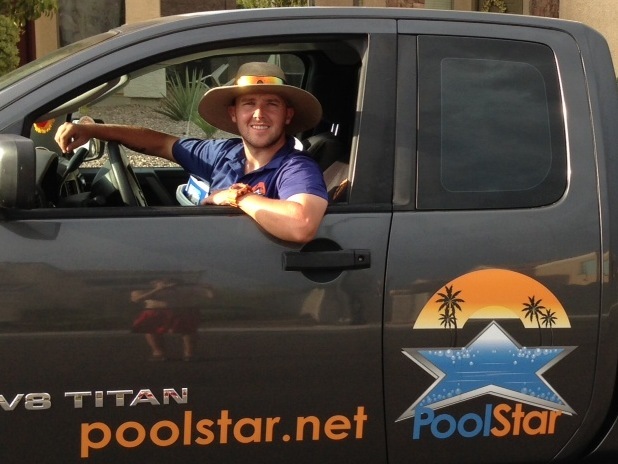 I enjoy working for Pool Star because I like being outside, I love seeing the finished product and it’s a reputable company with great management. When I am visiting your home my biggest concerns are closing your gates for your kids and pets, making sure all pool equipment is functioning properly, and you are satisfied with the finished product. 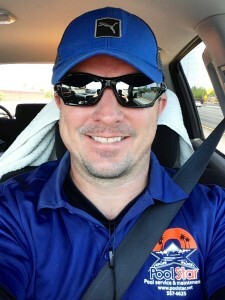 On a more personal note I am originally from Mesa, Az and I have lived in Las Vegas for ten years and enjoy it very much. I enjoy spending time with my family, water sports, outdoors and going to the movies. 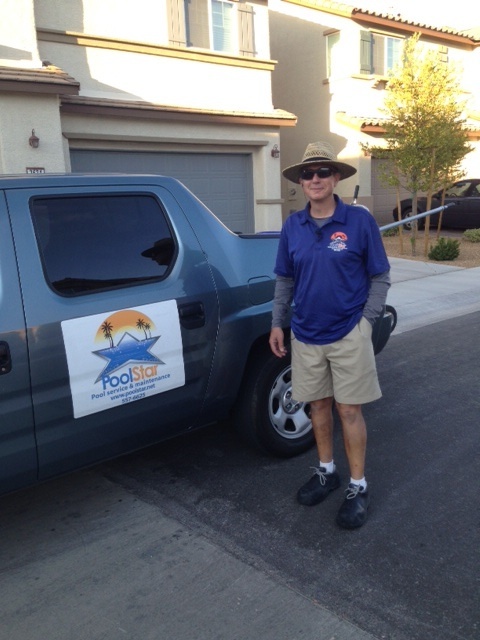 This entry was tagged anthem pool service, Henderson pool cleaners, Henderson pool cleaning, Henderson Pool Service, pool cleaner henderson, pool service anthem, Swimming pool cleaning service Henderson, swimming pool maintenance services. Bookmark the permalink. ← Things to consider when choosing a pool service provider?